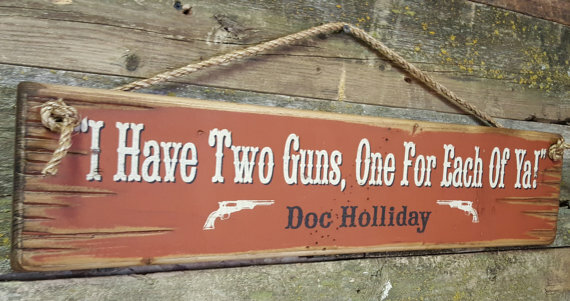 "I Have Two Guns, One For Each Of Ya! 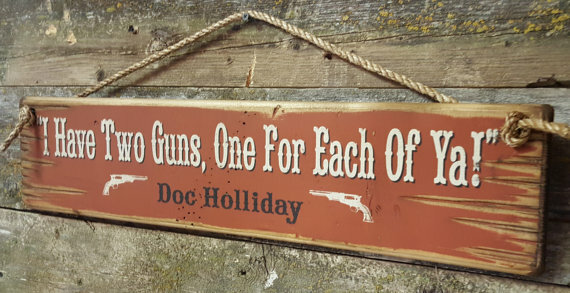 "- Doc Holliday. A quote from the movie Tombstone, is sure to be entertaining for years to come! This signs measures 5.5x24, has a rusty red background and come with the grass rope hanger for easy hanging. This sign is hand-made with pride!